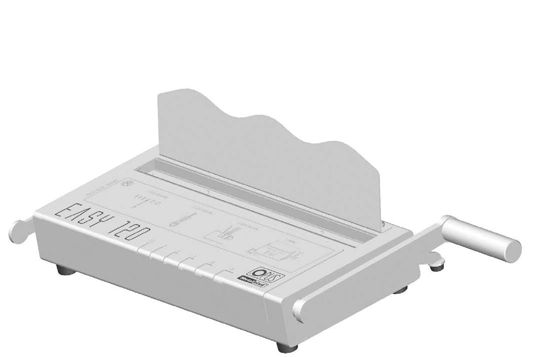 The Easy Bind 120 provides at fast rigid bind on professional documents and reports. No punching nor adhesive necessary - easy, fast, professional! 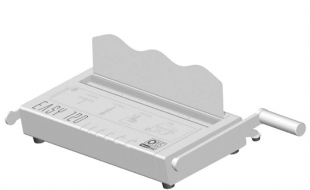 Binding equipment Easy Bind 120 is a modern metal binding system designed for office use which enables binding documents up to 120 sheets*. The Easy bind 120 is solid but relatively lightweight, small and most important easy to use. Patented jaws allows an even binding of channels. • Bind brochures, reports, balance sheets, contracts, exposés and many more as Softcover or Hardcover connection in seconds! Interested in the Easy Bind 120?